Peshawar became the hub of the Hijrat movement because it was at the tail-end where qafilas were received, entertained, and after final preparations, sent off to Afghanistan. The idea was ridiculous and foolish because the wholesale exodus of Muslims of India to Afghanistan was impossible upon economic grounds alone. Politically, it was irrational, economically foolish and socially devastating. 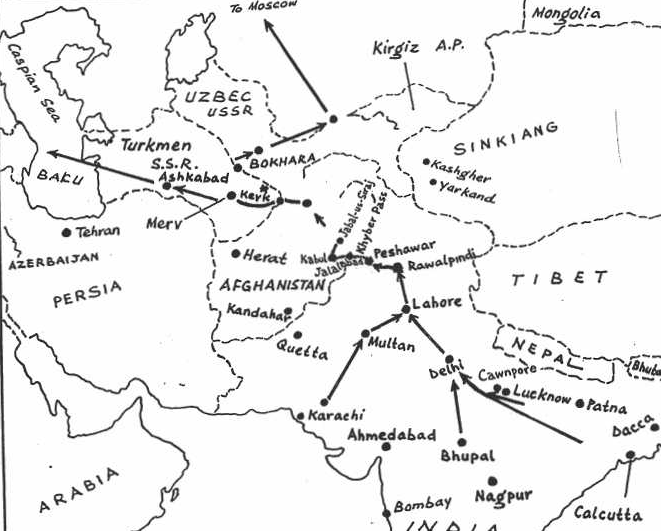 This ' foolish scheme ' of Hijrat from India to Afghanistan, was supported by Bacha Khan, Gandhi , Abdu Kalam Azad and the ulemas while Jinnah resolutely denied it. In order to properly receive, accommodate and absorb the Indian Muhajireen into Afghanistan, King Amanullah Khan complied the Nizam-nama (Rules and Regulations for Muhajireen) and sent it to the secretary of Hijrat committee, Delhi . The original text of Nizam-nama was issued both in Persian and Pashto. There are some 31 clauses in it which first deal with the definition of term Muhajirin and their status , and then sets forth the conditions on the basis of which the Afghan government would accept them. It also details the process of their entry into Afghanistan , their stay over there , their rights and duties, the concession which the Afghan government will accede to them , their conversion into Afghan nationality and restriction on them to participate in politics without the permission of Afghan authorities etc. On 26th May the King issued further instructions regarding the conveyance and boarding of the Muhajireen at Jabal as-Saraj (a district in Parwan province north of Kabul). These instructions were sent to the secretaries of committees at Delhi , Rawalpindi and Peshawar for the guidance of , and observance by the , intending emigrants. 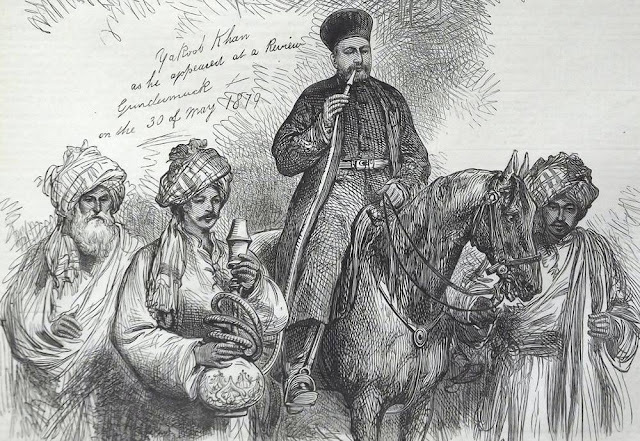 Moreover, the King placed a sum of 30,000 Rupees at the disposal of General Muhammad Nadir Khajn who was instructed to receive and entertain the Muhajireen at Jalalabad. It is said that the General took keen interest in resolving the day to day problems of the Muhajireen. A younger brother of the General , Sardar Muhammad Aziz Khan was appointed to assist him. Besides, the General deputed a military officer, Abdul Qayyum by name , at Dakka (located on western end of Khyber pass, in Afghanistan) for the reception of Indian Muhajireen. 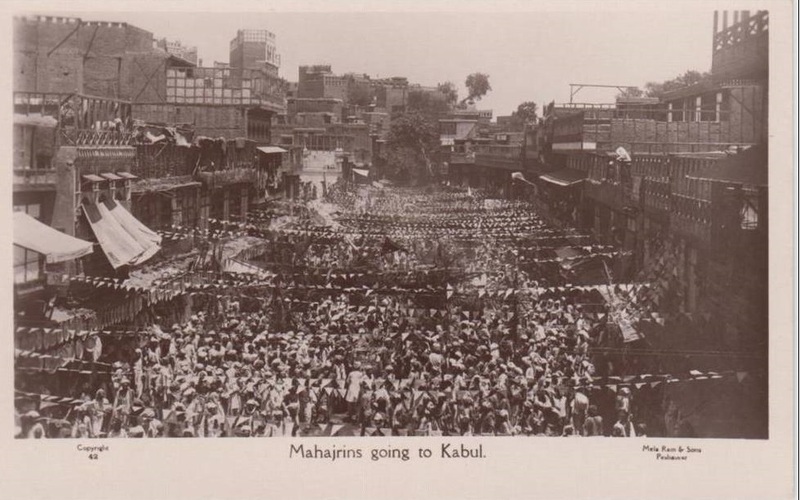 Just after their entry into Afghanistan, the Muhajireen were dispersed in different parts of the Afghan Kingdom. Among these Kabul, Jalalabad, Jabal as-Saraj, Khanabad, Zangi, Chapriab, Kunduz, Bagram, Charobi, Balkh, and Khost Bazar were worth mentioning. In the early days of the Hijrat, a firman (order) was issued by the King that a few youth among the Muhajireen should be admitted in the Maktab-i-Harbia (battle school). In fulfillment of this order ten educated Indian Muhajirs were admitted, but after a few days seven of those left the school and went to Tashkent. 1- That all Muhajireen should prior to their departure obtain a passport from the Afghan agent at Peshawar. 2- The Peshawar Hijrat Committee should, before dispatching a Qafila , intimate its followers and all details in its connection to the Afghan officer at Jalalabad through the agent at Peshawar. The Afghan officer will fix the number to be dispatched and the date of dispatch. 3- The emigrants , as has already been announced, will be accommodated at Jabal as-Saraj , but in the event of insufficient accommodation will have to proceed to Turkistan (Afghanistan's Turkistan). 4- In case of emergency such of the emigrants as are fit will be enlisted in the army and sent to places where there is a need for them. They will be given the same pay and allowances as is given to Afghan subjects and will abide by the same rules. 5- Hindustani Muhajireen will, on entering Afghanistan , be treated as Afghan subjects and will not be allowed to return but with the Amir's special permission and necessary passports. To the above mentioned five clauses , the Kabul Muhajireen committee, added several other points with the object to encourage the Muhajireen to stay on and develop in them resistance against the hardships. The suspension of Hijrat movement deeply shocked the advocates and preachers of Hijrat in India. They took it as a bolt from the blue. A careful analysis of Nizam-nama-i-Muhajireen and other farmans issued by King Amanullah from time to time during the Hijrat movement would provide enough evidence to convince an impartial reader that it was the gross violation of these by a vast majority of the Muhajireen , that compelled the Afghan King to stop the movement. A couple of days after the suspension of Hijrat, Amanullah issued another farman on 13th August , 1920, which stopped the Hijrat completely. This was the logical conclusion of an ill-conceived movement which had no preplanned agenda, no proper strategy and no capable leadership. At least 75% of Muhajireen returned to their homes. Some of them left Afghanistan form Anatolia, while some others went to Tashkent via Petakesar and Bukhara, and a very small number stayed back in Afghanistan. According to a returned Muhajir, alone in Khanabad 150 Muhajireen died of cold and starvation. Arrival of Muhajirs also created problems for locals. The residents of Khost were deprived of their lands in favor of Muhajireen. Through a Telegram to D.C Bannu , Khostwals sought permission for their migration to India but the British discouraged the counter Hijrat of the hungry Khostwals. Moreover it was in Khost when a general of the Afghan army mad up a battalion of 500 Muhajireen, fixing their remuneration at Rs. 14/- per month. But the battalion fell through for within a short period the serving Muhajirs began to return to their homes . The General as a result got disappointed with their conduct and disbanded the battalion. The Muhajireen who were left behind in Afghanistan and who obeyed the orders of the King were offered Jira (refundable loan) Rs.15 per month for one year, 6 Jaribs =2 acres of land per head. Through a farman published in Itihad-i-Mashriqi , dated 29th July , 1920, Amanullah Khan donated 15,000 Jaribs of land to the Muhajireen , the cost of which was estimated by the revenue department of Afghanistan was Rupees 75,000,00 . In some places the King gave great tracts of lands to some prominent Muhajireen. For example Arbab Raza Khan of Tehkal , Peshawar , was given 100 Jaribs in Khush Gumbat. It is significant to note here that it were the poor peasants , landless laborers, and artisans who formed more than 80% of the total Muhajireen who left British India.